New. Long Walk to water. Immediate dispatch from UK warehouse. Very Good. From a Newbery Medalist ("A Single Shard") comes a mesmerizing novel based on a true story. "A Long Walk to Water" begins as two stories, told in alternating sections, about a girl in Sudan in 2008 and a boy in Sudan in 1985. Trade paperback (US). Glued binding. 121 p. Contains: Maps. Intended for a juvenile audience. Good. From a Newbery Medalist ("A Single Shard") comes a mesmerizing novel based on a true story. 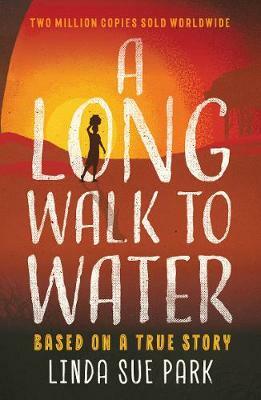 "A Long Walk to Water" begins as two stories, told in alternating sections, about a girl in Sudan in 2008 and a boy in Sudan in 1985. Trade paperback (US). Glued binding. 121 p. Contains: Maps. Intended for a juvenile audience.